The Naturals: Wrap Up Post! So you all seemed to very much enjoy The Naturals, hmmm? Maybe we should read some more mysteries. But, as we mentioned at the meeting, there is indeed a sequel to the book. Killer Instinct is the follow-up, and we have it here at the library! Huzzah! AND, it seems like there will probably be a third book or even more. Jennifer Lynn Barnes has expressed that she is excited about the places Cassie and friends are going. Anywho, let’s talk good mystery recommendations. There are lots of mysteries out there, and I am not a huge mystery reader, but I am going to recommend a few that I really enjoyed. The Heist Society series by Ally Carter is lots and lots of fun. Have you seen the Ocean’s 11 movies? It’s like those except with teens, and it’s awesome. Reading about a bunch of teens zipping around the world to fabulous locales and hijacking priceless works of art is like taking a mini vacation. It is So. Much. Fun. I love them. Plus, if you love these, Ally Carter has another famous mystery series called The Gallagher Girls that is extremely popular. Katherine Ewell’s Dear Killer is another good one. I have mixed feelings about it though. While the premise is fantastic and the book was well written and interesting, our heroine, Kit, sometimes makes me super angry by contradicting herself. However, I like it enough to recommend it to you guys and see what you think. Plus, it’s a totally different take on the murder mystery. And, one of Veronica’s favorite series, I Hunt Killers, is another good bunch to pick up. However, be forewarned, these books are pretty gory and deal with a little more mature content. They are still YA, but you might want to be careful if you get squeamish over descriptions of blood and guts. I have only read the first one, but it was very well done. And it expands on the whole “Like father, like son” idea that was presented to us in The Naturals with Dean and his dad. If your dad is a messed up serial killer, will you be? How similar is the brain chemistry there? It’s a very interesting premise. Does Gail Carriger’s Finishing School series count as mystery?? Cause I will totally recommend those to ya’ll again. Finally, back to The Naturals. I found something super cool. The FBI field office in Washington does an outreach program called Future Agents in Training, where students from across the country can apply for their week-long program in D.C. where they will take classes on the different branches of the FBI and learn from special agents and intelligence analysts. And it sounds SUPER COOL. They accept about 30-45 students a year, and you can find all of the info and the forms here at the FBI website. It takes place the first week of August this year and the deadline is May 1st! So you guys have plenty of time to apply and become super secret agents. And then tell us all about it. So, I hope everyone is having a FABULOUS week and I am looking forward to getting started on Gayle Forman’s If I Stay for next month. We’re gonna get all emotional and romantic, wooOooOoOoo! This entry was posted in Teen Book Club, Wrap Up and tagged Dear Killer, FBI, Finishing School, Heist Society, I Hunt Killers, Jennifer Lynn Barnes, Kelsey, Mysteries!, The Naturals. Bookmark the permalink. 1 Response to The Naturals: Wrap Up Post! 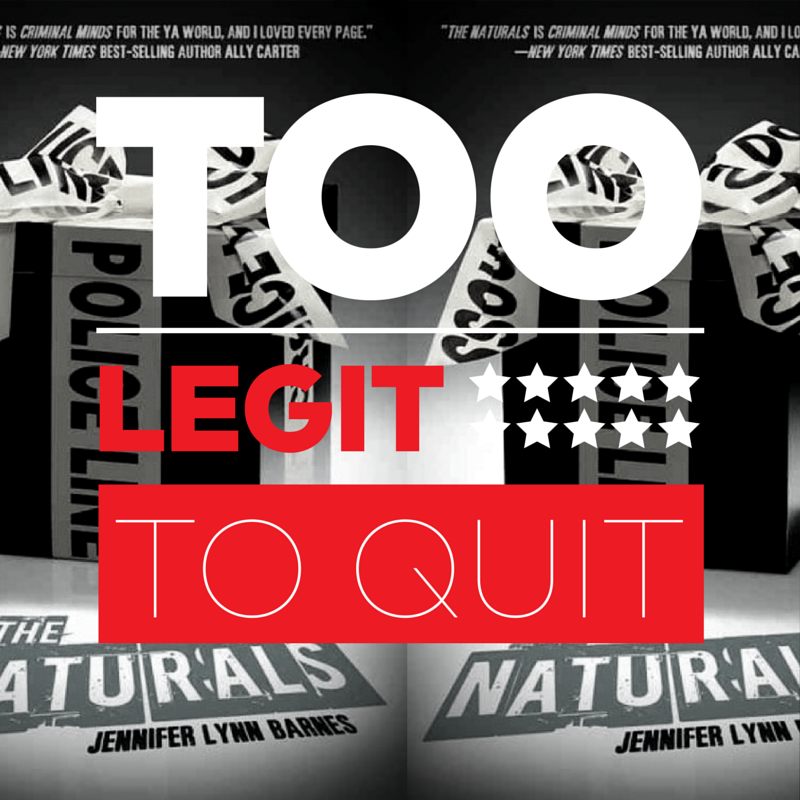 Yes, I loved The Naturals and it has made me eager to read more mysteries! The Silence of Murder by Dandi Daley Mackall is a riveting mystery about a mute boy with asperger’s syndrome who is accused of murdering the local baseball coach. Really great and I loved the ending. Anyhow, it is at SPL under YA/Whodunit/MAC. Check it out !!! !